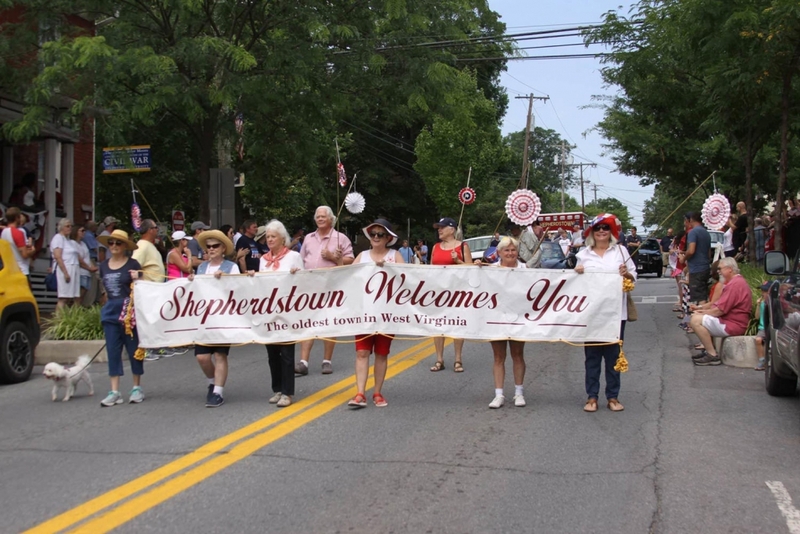 Plans are now finalized for Shepherdstown’s 2018 Independence Day parade and community picnic, which will be held on Wednesday, July 4. Both events will be held rain or shine. Everyone is welcome at both events and admission will be free. The parade and picnic are organized annually by the Rotary Club of Shepherdstown. The goal is to provide wholesome, family-oriented 4th of July events that everyone can enjoy. The parade will be held starting at 11:00 a.m. downtown. It will last about an hour. Entries will include veteran’s groups, antique vehicles, local societies and organizations of all kinds, local businesses, government officials, children’s groups, animals, historical re-enactors, fire trucks, and more. Plenty of parade parking will be available in the Shepherd University parking lot at the edge of downtown on High Street. The picnic will be held right after the parade, from 12:00 noon to 3:00 p.m., in the pavilion at Morgan’s Gove Park on Kearneysville Pike (Route 480) just southwest of town. The picnic will feature live music, with two local bands. The Speakeasy Boys will play from noon to 1:30 p.m. and the Gypsy Ramblers will play from 1:30 to 3:00 p.m. There will be lots of free children’s activities, including a waterslide, scavenger hunt, a water balloon toss, face painting, and more. The Rotary Club will be selling hamburgers, hot dogs, chips, and non-alcoholic beverages at reasonable prices. All proceeds from those sales are used to help cover event costs. People can bring their own picnic lunches if they prefer. There is plenty of parking at the park.